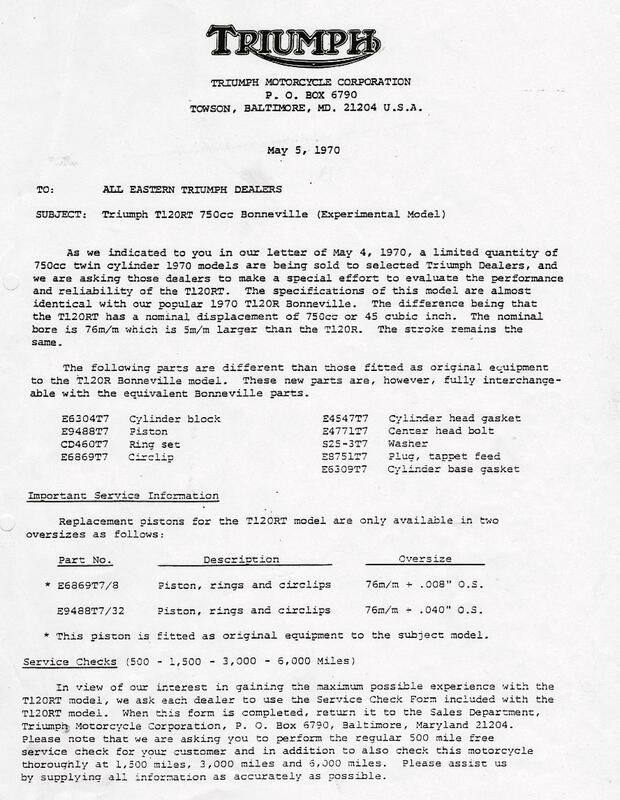 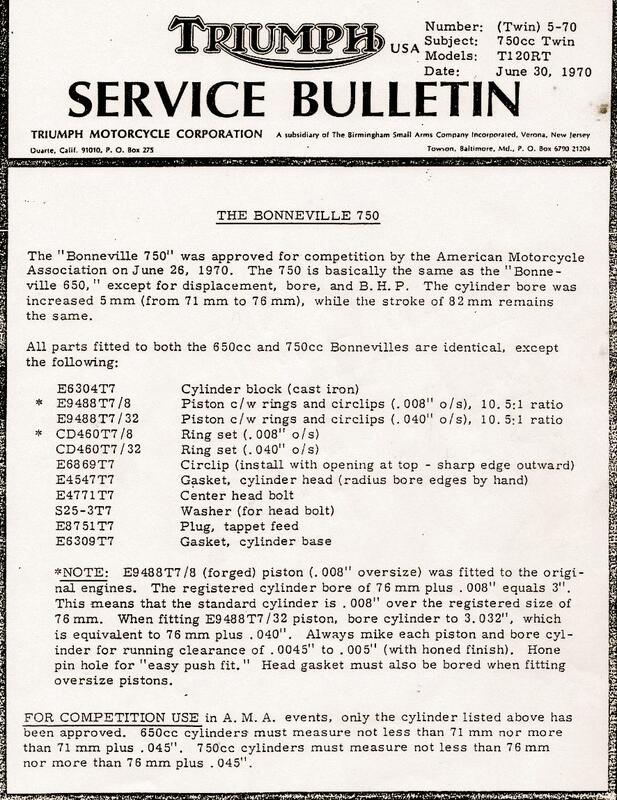 Meriden did not offer a 750 Bonneville until the 1973 season (commencing August 1972). 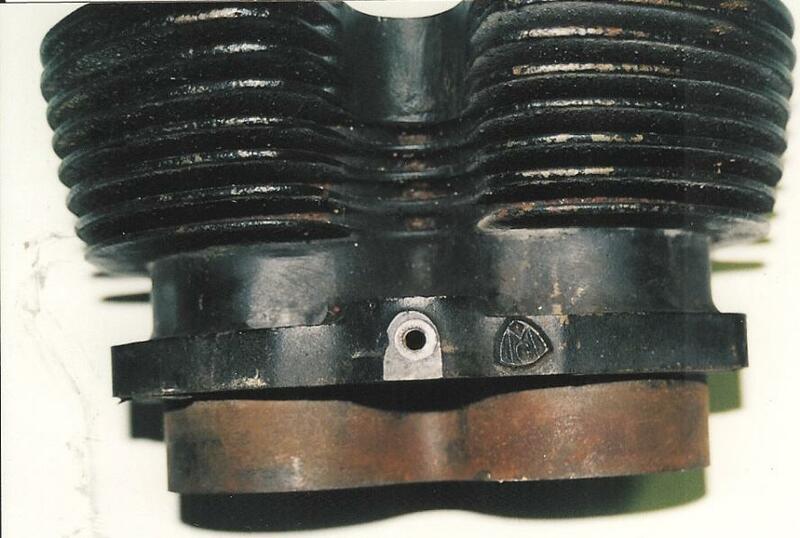 The first attempt (engine nr JH 15435 ) was little more than an over bored T120 with a bore/stroke ratio of 75 x 82 mm giving a capacity of 724 cc. 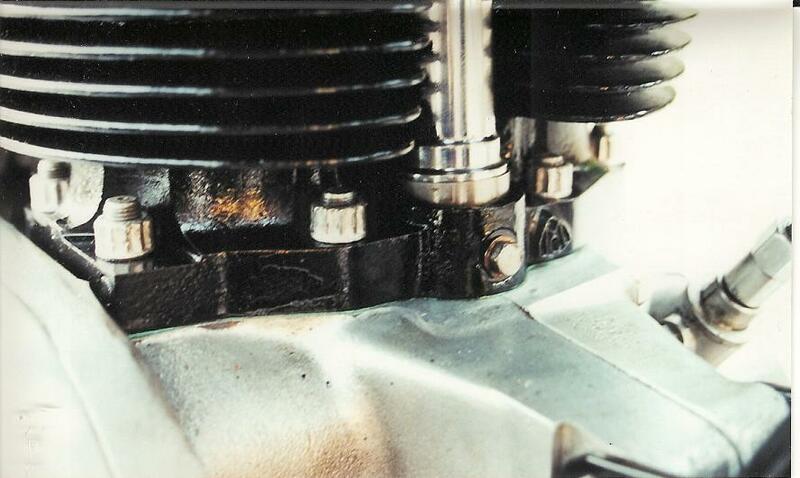 At engine nr XH 22019 the bore/stroke was amended to 46 x 82 mm giving a capacity of 747 cc. 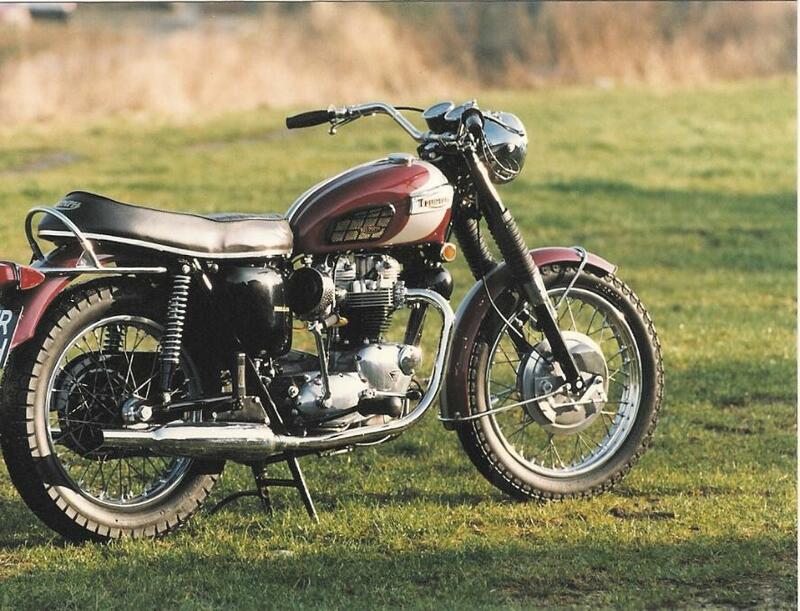 Late in 1969 the East Coast arm of Triumphs distributors (Tricor), recognised to continue competition racing they would be required to meet the new AMA 750 cc rule of that time. 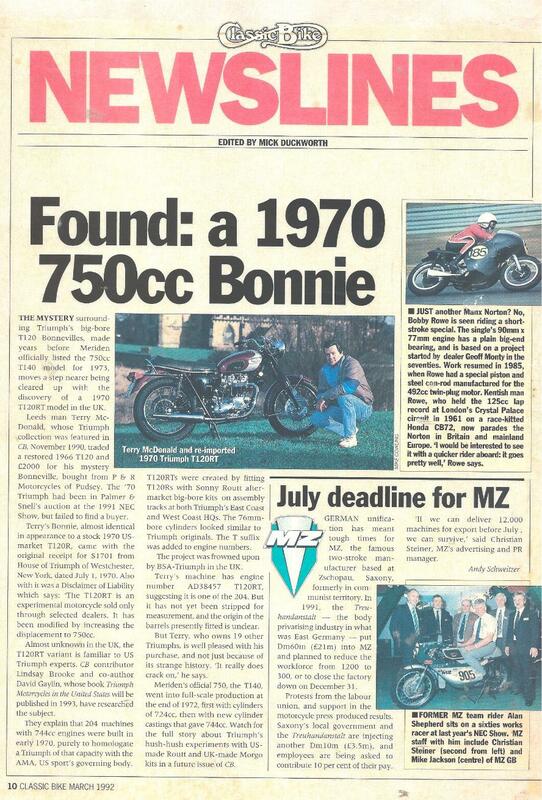 The rule, clearly in favour of the Harley marque ( who already had the cc specification) required a minimum 200 models to be officially catalogued and offered to the public for sale before they could turn a wheel on the race track. 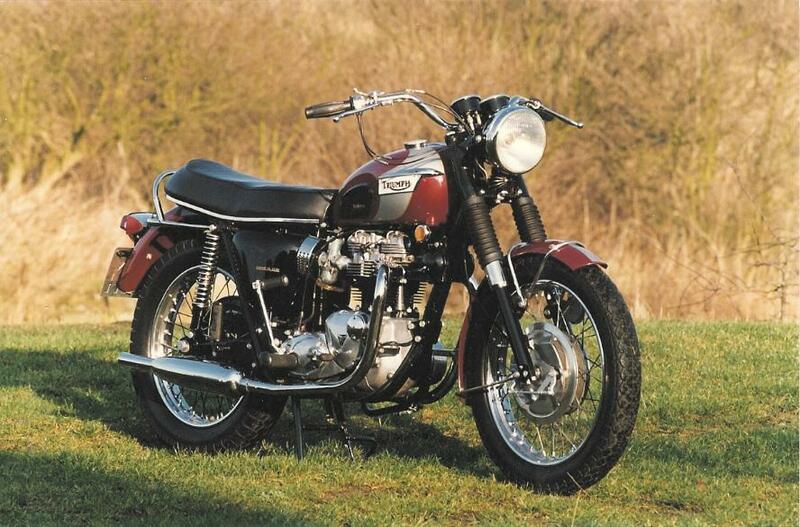 Triumph back in the UK, was not inclined to manufacture such a machine due to the new 750 cc Trident recently launched, a launch that required the tooling cost recovery within the first year of production!! 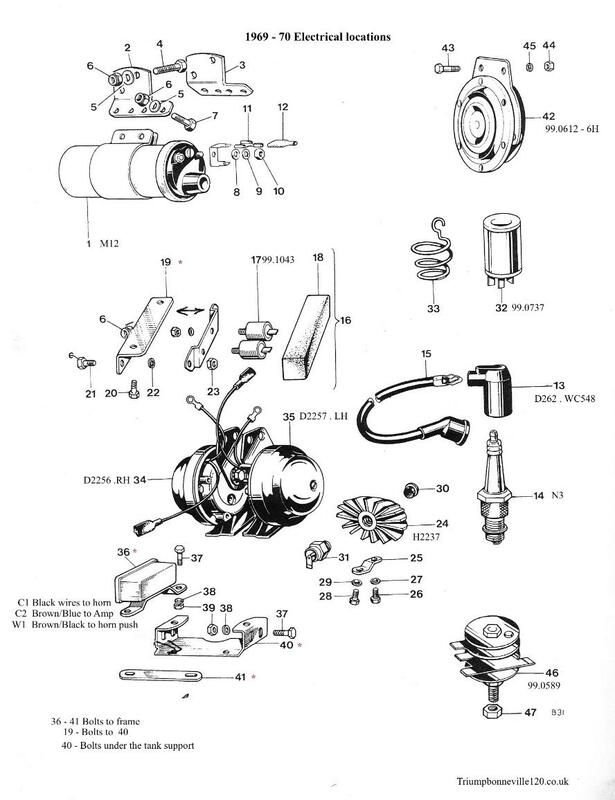 Tricor service manager Rod Coates developed, in conjunction with Sonny Routt, a conversion kit which could be fitted to the 650 cc. 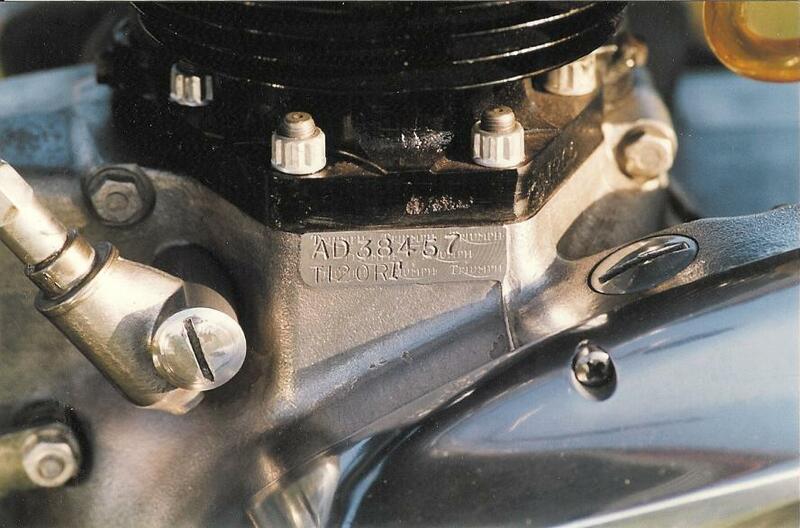 E6304T7 Cylinder block. 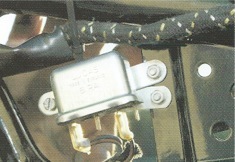 E9488T7 Piston. 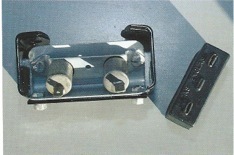 CD 460T7 Ring set. 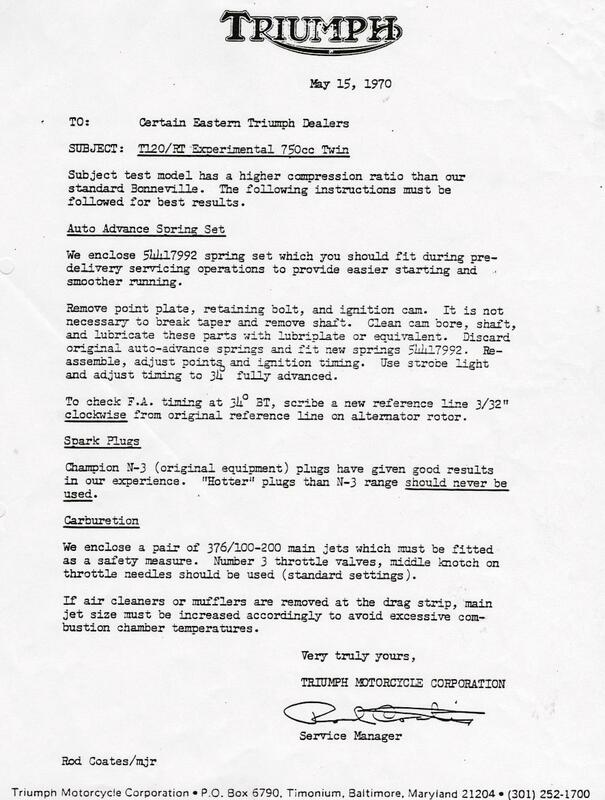 To convert the bikes quickly, makeshift assembly lines were set up in Baltimore and Duarte. 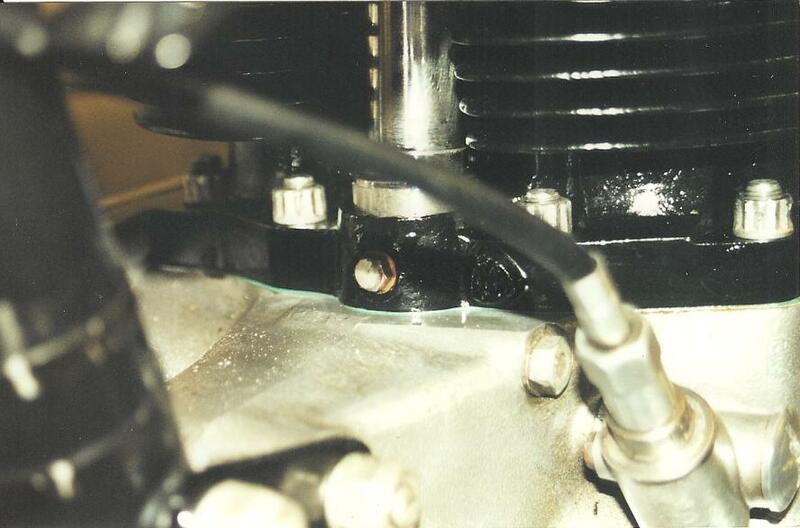 Brand new crated bikes were partially uncrated, their stock top ends removed and the 750 kit installed. 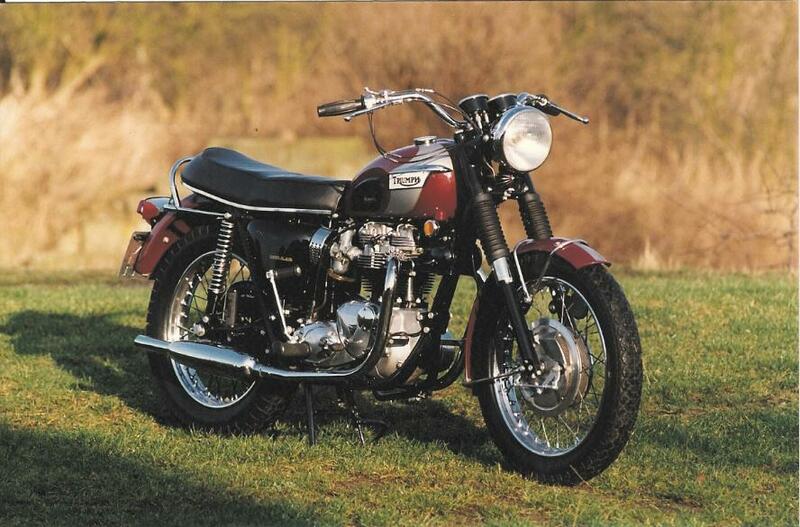 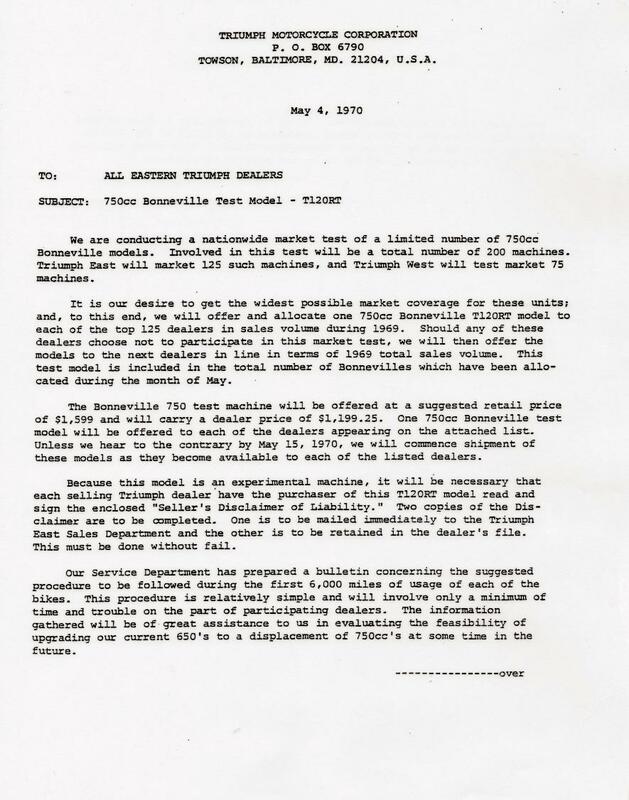 Each buyer was required to sign a liability disclaimer as Triumph USA considered the model " experimental designed for racing and over competition events". 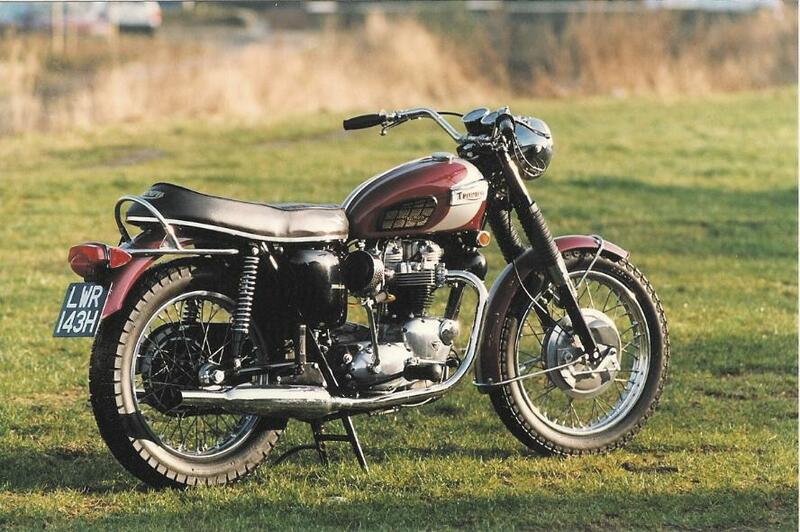 Around this time Triumph UK engaged the services of Peter Thornton to merge both BSA and Triumph together in the USA, once Thornton heard of the RT project Rod Coates was summoned to his office and dismissed after 24 years with Triumph! 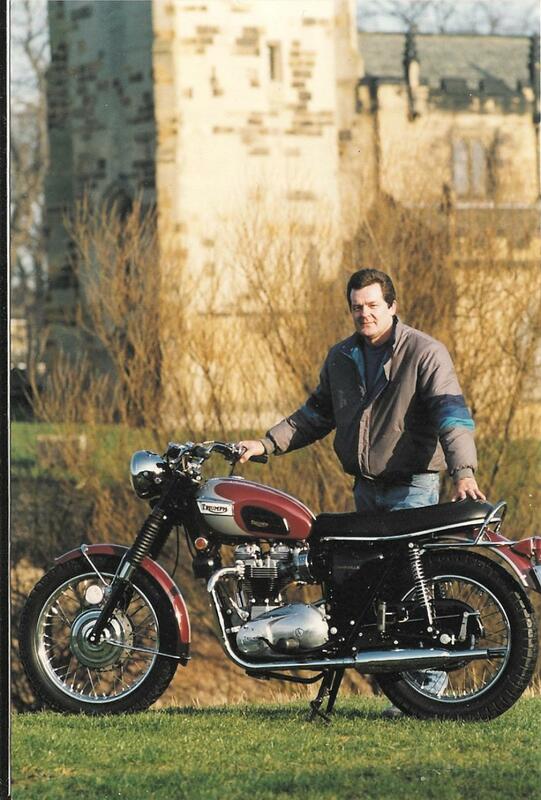 2nd RT converted in the USA - 1st reimported back to the UK.